Windsurfer is a great vacation spot. 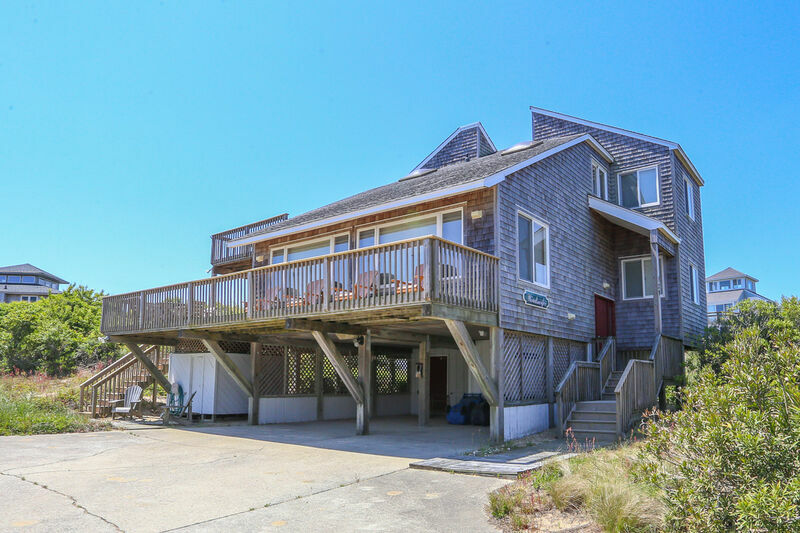 Located in the rolling dunes of Osprey in north Duck, this lovely home is close to the beach access and the bike path into the village. Great room with TV, dining table seats 8, counter seats 2, well-equipped kitchen; 2 bedrooms (1 with King, TV; 1 with Queen, TV); hall bath, laundry. 2 bedrooms (master bedroom with King, bath, TV, deck access; 1 with 2 Bunk sets); hall bath.